Finally, the wait is over for all the Bengalureans because the Kittur Rani Chennamma flyover, in Padmanabhanagar, was opened. BENGALURU: Miracles do not happen overnight. 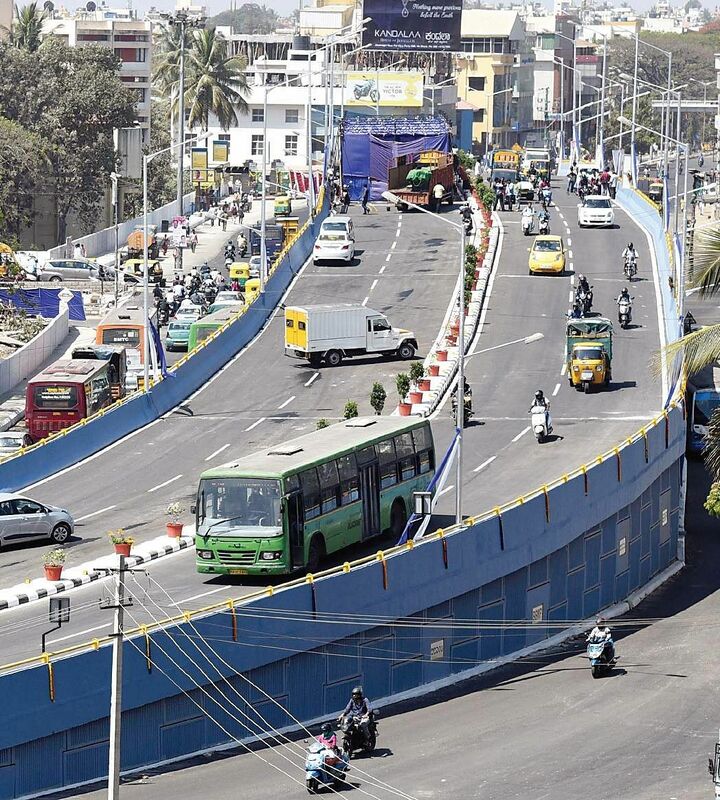 All good things come to those who wait, and finally, the wait is over for all the Bengalureans because the Kittur Rani Chennamma flyover, in Padmanabhanagar, was opened on Wednesday after a prolonged delay of three years. The four-lane bidirectional flyover was inaugurated by Chief Minister Siddaramiah. The CM believes that the 361 metres will reduce 68 percent of the traffic congestion on Outer Ring Road near Devegowda Petrol Bunk. BBMP has spent Rs 35.8 crores for this four-lane flyover. The project has been delayed, work having started in December 2013 was expected to be completed in 18 months. However, land acquisition was a major challenge, which took time. The flyover is about 2.2 km away from NH 209 (Kanakapura road) and around 4.5 km away from SH 17 (Mysuru road). With no signal, traffic is expected to reduce by 68 percent. The inauguration programme however added to the traffic miseries of the city. Shivashankar, a resident of Kathriguppe said this junction will be congested during peak hour. As the CM arrived on the venue to inaugurate the flyover, people from various places were brought as the audience. Political leaders and their followers came in big cars, which added to the chaos. “We waited for more than half an hour in the traffic,” he added.